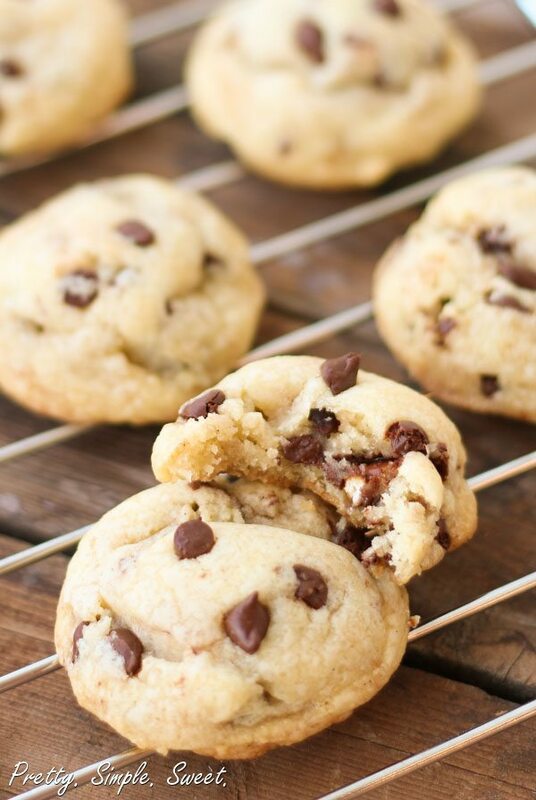 Vanilla Pudding Chocolate Chip Cookies | Pretty. Simple. Sweet. 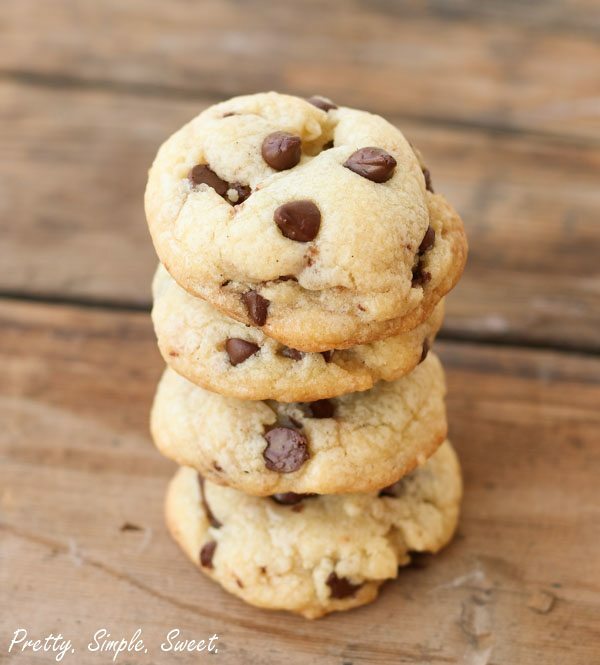 The flavor of these vanilla pudding chocolate chip cookies is amazing, and they are so soft, they will melt in your mouth! 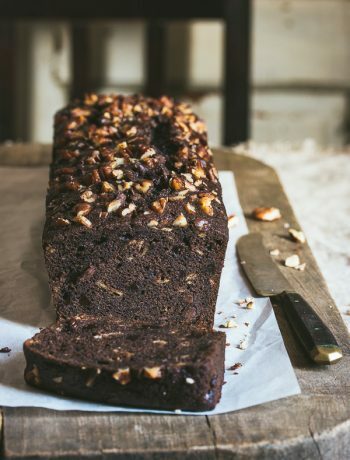 This recipe has been a favorite in our home for years. If you like chewy, soft cookies, then you’re at the right place! These cookies are for you. They have such have a unique flavor, and they literally melt in your mouth. 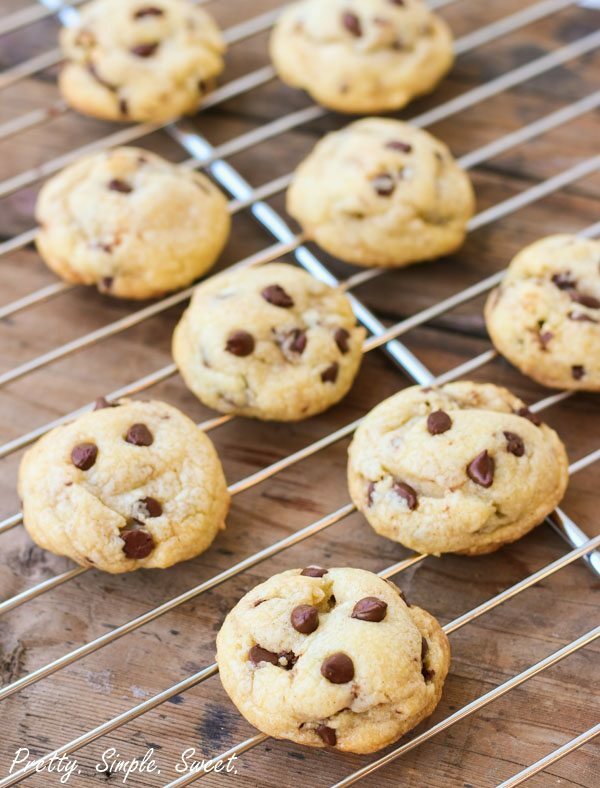 The cookies are just a tad bit crispy around the edges and have very soft and chewy centers. They are thick and puffy. I call them little vanilla clouds. Heavenly little clouds. And I mean, just look at them. They look gorgeous! Delicious on their own, but I add chocolate chips for taste and texture. The ingredients for this recipe are pretty basic. 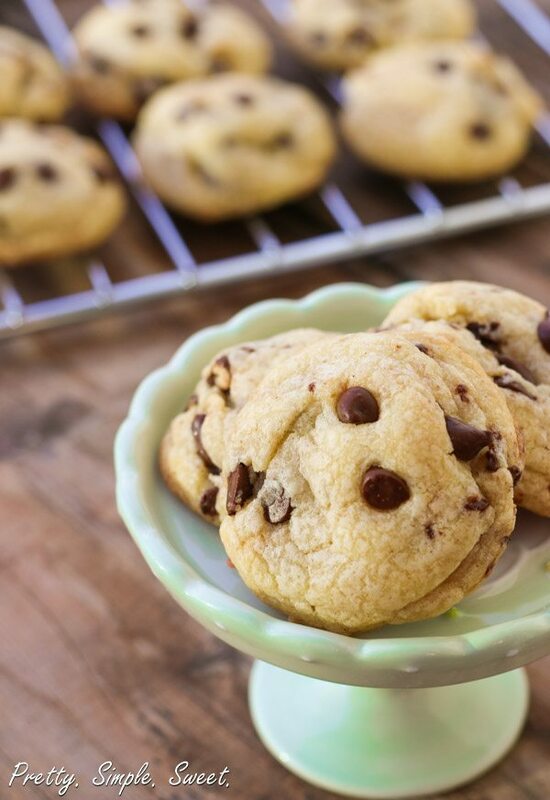 Ones you’ll find in every chocolate chip cookie recipe, with the exception of instant vanilla pudding mix (which really brings the softness of the cookies to a whole different level). Naturally, it also adds more vanilla flavor (but not too powerful), which is always a good thing. Now let’s talk about how you make the cookies and why they are so soft! 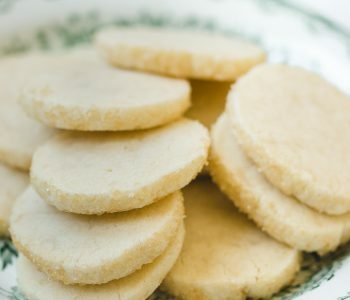 If you ever searched for a soft cookie recipe online, you probably encountered one that contains cornstarch (and if not – good! because we will talk about it in the next chocolate chip cookies post). The cornstarch is added to cookies for extra softness. Adding even as little as a teaspoon can do magic. Too much and it will affect the taste (not in a good way). While there is no cornstarch in this recipe, it is hidden in the vanilla pudding mix. As I said, making this recipe is very simple. You don’t even need a mixer! You start by melting the butter in the microwave. Next, whisk in the sugars and the egg and then add the dry ingredients. Easy, right? Don’t over mix your cookie dough. As soon as the flour mixture is mixed, stop. Otherwise you will end up with tough cookies. 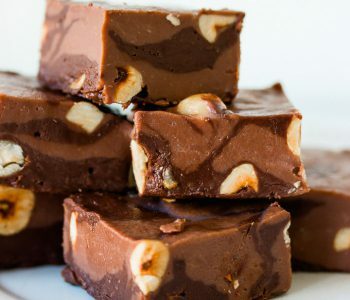 At this point I recommend chilling the batter in the refrigerator for let’s say at least 30 minutes (or even up to three days if you want to make these ahead of time). If you don’t have the time, skip this step. While the batter is in the fridge chillin’ (literally) the flour absorbs the liquids, eventually resulting in a thicker cookie that won’t spread out while baking. After you let your cookies chill, if they are too tough to handle, just leave them in room temperature for a few minutes before you start to scoop them onto your cookie sheet. You can use a medium ice cream scoop or just a tablespoon. I always bake my cookies for less time than what other recipes suggest because I like them slightly under baked (another secret for soft cookie centers). From my experience the most you should bake a cookie is 8-10 minutes and that’s it! (Unless, of course, if you make bigger cookies). They will appear as though they aren’t fully baked and that is ok. You will notice that by this point, the edges will have started to get a brown color. Once out of the oven, leave them to cool for 10 minutes and then move them to a wire rack. If you touch them while they are fresh out of the oven, they will break. Place the melted butter in a large bowl and whisk in granulated sugar, brown sugar and pudding mix. Whisk in the egg and vanilla extract. Add flour mixture and mix just until combined. Do not over mix. Fold in chocolate chips. Chill the dough for at least 30 minutes (or up to 3 days). You can skip this step if you want. Drop rounded balls of dough onto prepared baking sheet using heaping tablespoons or a medium (about 1.5-tablespoons) ice cream scoop, leaving about 2-3 inches (5-8 cm) between each cookie. Bake for about 8-10 minutes, until cookies just begin to brown at the edges. Cookies will appear undone but will continue to bake on the warm baking sheet. Leave to cool for 10 minutes, then transfer to a wire rack to cool completely. Store cookies in an airtight container for up to 3 days. Cookies can also be frozen for up to a month. Thank you. I just made these and they are delicious. I, too, use vanilla pudding. And, if they last long enough for it to be an issue, the vanilla pudding helps to keep them softer, longer. 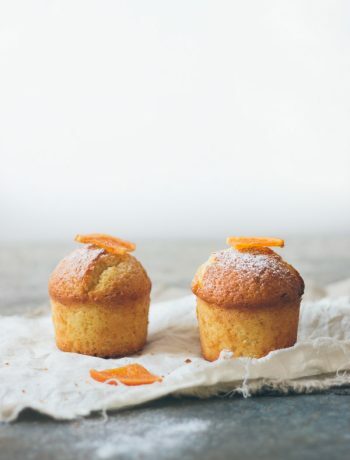 Great recipe and love the pictures! Pudding and cookies? I love it! Do you know if it has to be instant pudding or can it be the cook and serve type? I am making these today. I have seen this a lot lately and I want to see the difference between this method and the traditional method. 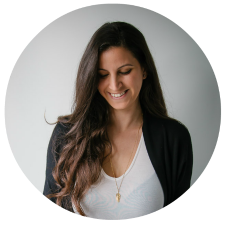 You have a new food blogger friend in me! First time making these, and I just wanted to make sure…is it hard to get the actual chocolate chips to stick in the batter? The batter is not incorporating the chips. Help! Hi Sarah! Do you mean while baking or while mixing? There shouldn’t be any problem with the chocolate chips not sticking to the batter. Once the batter is ready, you need to fold the chocolate chips into the batter using a spatula or wooden spoon. They will be incorporated well with the batter. Does it answer your question? These cookies are amazing! This is now my go to recipe for cookies. My husband took some into work and everyone requests them for potluck day. Hi Stella, I don’t recommend using the sugar-free instant pudding. 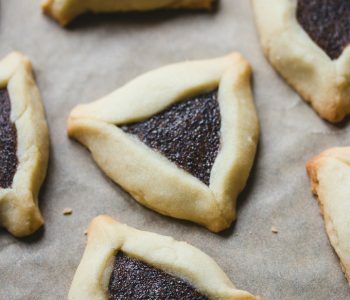 It doesn’t have the same consistency like the regular one, and the cookies won’t turn out as tender and soft as they should be. Wonderful cookies! How long can you keep the cookie dough before baking the cookies? We like the cookies warm so we only want to bake what we are going to eat right then. Thank you Elizabeth! You can make the dough, cover it with plastic wrap, and keep it in the fridge for up to 3 days. You can also freeze it for about 2 months, then thaw it for a few hours in the fridge. Another options is to freeze balls of cookie dough, then bake it straight from the freezer. Baking time will take slightly longer in that case. Found your recipe via Pinterest! (Yay!) These taste Ahhh-maz-ing! However, I followed this recipe exactly and my cookies came out flat as a pancake! I’m so confused! I let the batter chill overnight after my first batch went terribly wrong and they were flat. But same result. It’s so sad! Ha. Just wondering what could possibly be the reason! Hi Amanda! I’m sorry to hear your cookies turned out flat, but at least they were delicious! The pudding mix should make them super thick, even without refrigerating. Maybe your oven temperature is off, did you preheat it? Or your baking soda may have expired. Next time you try it, when you shape the cookie dough balls, make them tall and not wide or flat, which should also help. Thanks so much for the response! Baking soda definitely not expired. And not sure about the oven. I did preheat but maybe something is off. That could be an issue. Ah-not even sure how to check that. I am going to give them another go! Baking is all about science and accuracy so sometimes it’s hard to know what exactly went wrong. Just to make sure – you mixed the ingredients by hand and didn’t use a mixer, right? Because incorporating too much air into the batter can also cause the cookies to spread. Anyway, give them another go, they’re worth it 🙂 Also, read this article on flattened cookies. I haven’t made this recipe yet, but when I do, I want to make a bunch, I like to treat the folks at work. If I double the recipe, do I also add another box of pudding mix? Or will 2 boxes make the cookies too soft? I would like to make these cookies but I’m in the UK and we don’t seem to have vanilla pudding. Is it a cake mix or something like Angel Delight? Hi Susan, I’m not familiar with Angel Delight, but from what I’ve read, it seems like this is the equivalent to instant pudding mix, so you can try that (or read what other people say, there are many threads about this subject). 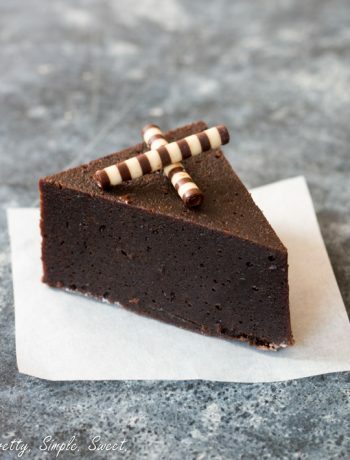 It’s not a cake mix, but a powder that is usually combined with liquid to create a pudding/mousse-like dessert (though in this recipe you only need to use the powder). Thank you Susan 🙂 I’d love to hear how it turns out with Angel Delight. I LOVE this recipe and use it for every kind of occasion. However, I’m wondering how you would suggest taking this and turning it in to a peanut butter cookie? I want it soft and moist and thick like these turn out! Hi Laura! Peanut butter cookies tend to have a different texture which is more heavy and crumbly than chocolate chip cookies. 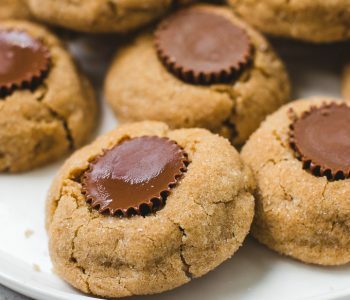 I suggest to try a different recipe for peanut butter cookies. This is my favorite classic one – it tastes amazing but it isn’t as soft as these chocolate chip cookies because there’s no pudding mix in there. Hi Maddy, I’m so sorry to hear that. I know how frustrating it can be! This is a pretty basic cookie recipe with a common temperature of 350F, so I’m not sure what went wrong. Do you bake often using that oven? The temperature can be off/too high in some ovens. How long did you bake the cookies for? Did you use all the ingredients in the recipe without changing anything? Did you try to refrigerate the cookies first? It really helps in baking thicker cookies! Hello! Thanks for sharing this recipe. I made it years ago and went looking for it. Question: how do you think adding food coloring to the batter? I’m thinking about making them for a gender reveal party. Hi Brittany! You can try it with small portion of dough to see if you like the result. Once dough is ready, add a little color with a toothpick and mix gently. Add more color if you want, a little bit at a time, until you reach the desired color. The color may look be a bit different after baking. Will this work if If I add dried cherries? 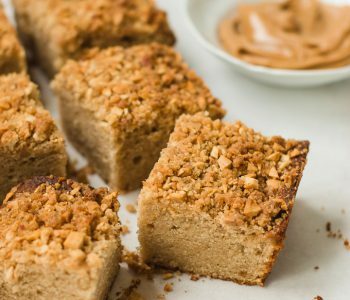 Can I use oil or peanut butter instead of butter? Hi Jen, I haven’t tried it with oil, so I’m not sure what the result would be. Replacing the butter with peanut butter would make the cookies dry and crumbly, so I don’t recommend it. The hunt for the best chocolate chip cookie recipe is over! I’ve baked these cookies more times than I can count and they are so dang delicious that I HAD to find this post again so I could comment. If anyone has a problem with this recipe it’s because the butter was too warm when added to the sugars. This recipe is so easy and turns out amazing EVERYTIME! Thanks for sharing! Hi Bayan 🙂 Yes, it’s powder, and sold in a carton. These are amazing! I’ve made them probably five times in the past three mon ths! Everyone loves them! The only time I’ve had an issue was when I accidentally hit the cancel button on my oven instead of set and they say for 10 minutes at probably 200 degrees and they were flat and burnt onthe bottom oddly! But the next batch, with the correct temperature, was perfection! I had been using a recipe with cream cheese that was delicious too but these are sweeter and fluffier(perfection)! I made this together with my kids and they loved it. the preparation was easy and the result was yummy! These are delicious the pudding makes them nice and soft for a while after they cool. These are the best chocolate chip cookies I’ve ever had. Thank you for all your delicious recipes! can I use mini-m&m’s instead of choc chips?? Sure, you can use 3/4 cup M&M’s. Hi! So I tried the recipe last night and I know cooking isn’t my strong area but I don’t know what I did wrong. They batter was all crumbly, like too crumbly to where it didn’t stay in a ball. I used the measured amount a of everything so I’m not sure what I did wrong. Going to try again but of course I am out of pudding mix so I’ll have to wait. It can happen when measuring with cups instead of grams, because it’s less accurate. Next time, if the dough is too crumbly, you can add some milk. I use dark/bittersweet chocolate chips. Mini or milk chocolate would work if you prefer it. Is the butter used salted or unsalted? Can’t wait to try them! Hi Leah. It’s always unsalted butter. What do you recommend if I do not have a sifter? You can just whisk/mix the ingredients by hand. So the flour, baking soda and salt do not need to be sifted together? How do you “sift” ? Do you need a sifter or is there a simple technique you can do using a mesh strainer? Also how long should you allow the melted butter to cool before using it? I think this is what I did wrong in the past resulting in thin flat cookies. Please let me know your thoughts. Thanks! Just made these and they are delicious and chewy! Great recipe, thanks! Will definitely be making again. just making these! is it normal for the batter to be very dry- mine is crumbly. It shouldn’t be very dry. Next time use a bit less flour until the dough sticks together. Hello! Thank you for the wonderful recipe. They are very soft! One question….the cookies are a tad on the ‘grainy’ side, presumably from the pudding mix. Is this how they’re supposed to taste? They shouldn’t be grainy. Do you mean dry? If you feel like the dough is too dry, use less flour next time. This is our goto cookie recipe. Never had an issue with it. We do cook them a bit longer though because of our altitude.